Need Samsung Galaxy Note 2 repairs Melbourne CBD? Fixspot's repair store is right in the heart of Melbourne's CBD, only 5 minutes walk away from Flinders Street train station. We fix over 400 devices a month, many of them Samsung phones. We know how important these products are to our customers, and strive to produce our best work with every repair. With over ten years experience in electronic repairs, the high standard of our repairs can't be beaten. The parts we use for our repairs are high quality, and our repair prices are the lowest in all of Melbourne. 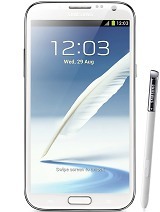 If you need further information on our Samsung Galaxy Note 2 repairs Melbourne CBD, please don't hesitate to contact us.